I just got a really upsetting call from my family. My dog was hit by a car. I really don’t know what to do. The dog was really, really important to me--we got her when I was in middle school and I wasn’t really fitting in, and she helped me feel so much better when I got home from school. I always felt that same joy when I visited between semesters here at college, too, and now she’s gone. What happens next? What happens when a dog dies? Is she going to be cremated, or buried? I guess I won’t get to see her again, right? We’re so sorry to hear of your terrible news. Dogs bring a lot of joy into our lives, and it’s incredibly difficult to say goodbye, especially when the news comes as a shock. What happens to your dog will be up to your family, say providers of pet cremation services in Charlotte, North Carolina. 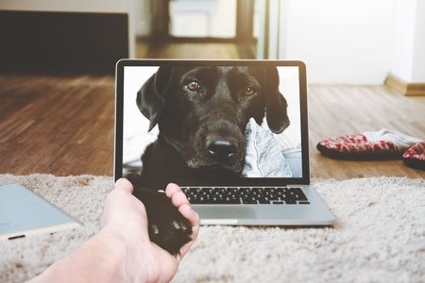 Cremation is certainly a popular option, and it allows you a lot of tasteful ways to put your pet to rest, from scattering the ashes to burying them or displaying them in an urn. This will probably happen right away, so it is, unfortunately, likely that you can’t see your dog beforehand. However, that may not be the best thing anyway; perhaps you should focus on remembering your dog as she was when she was healthy and with you in your most important moments together. While nobody can help what has already happened, it is you and your family who will decide the next steps. If you feel out of the loop or apprehensive, reach out to your loved ones and talk things over. You can arrange a time to all be together and say goodbye in a ceremony or individually. Rituals can be healing, pet grief experts say. You sound very upset about your dog, and that’s entirely natural. Our pets can be incredibly important to us, especially when they touch us at a time in our lives when we need them most. If you feel overwhelmed by this, consider seeking some help from a professional. Your school has on-campus resources for stress and grief, and you can also get help from a therapist, psychologist, or psychiatrist of your choosing off-campus. Psychotherapists stress that you should get help if you need it. This is a difficult time for you, but you will get through it. And you will always have the precious memories of your dog to treasure in the years to come. We wish you the best.